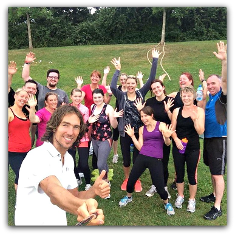 I am a health and fitness expert based in Wiltshire offering personal training sessions at your home/outdoors and surrounding areas. Whatever your age and ability, Elite Personal Fitness is here to provide tailor-made home and outdoor exercise sessions. Your personal training plan will be designed specifically for you based on your abilities and desired goals. Whether your aim is to lose weight, build up muscle, or maybe you just want to improve your fitness levels - I have the experience and knowledge to build a bespoke session plan to suit you. By providing a regularly monitored, results-based training program I ensure your body continues to be challenged, whilst keeping an element of fun alongside continuous motivation. Need full support through out? Want to see maximum results?